READY TO MOVE IN! Bright & Open Flr Plan! HARDWD Flrs in DR & Office! Fresh Neutral Paint! Large FR w/Ceil Fan, Plush Carpet & Gas FP! 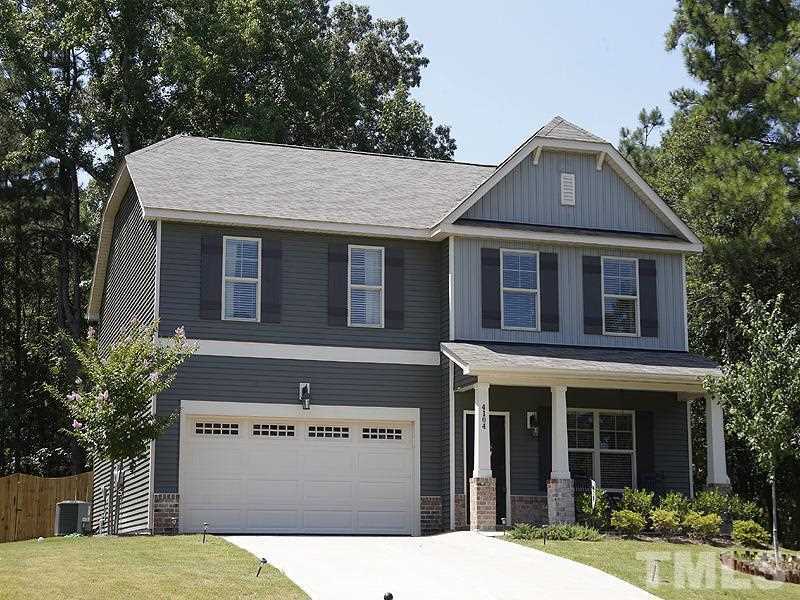 Kit w/GRANITE Counters, Birch Cabs w/Crown Finishing Trim, SS Apps, Recessed Lights, & Walk-in Pantry! Laundry Rm w/Cabs! Smooth Ceils! Blinds! Huge MABR Suite! MABA w/Garden Tub, Sep Shower, Double Bowl Vanity, Cultured Marble Counters, & Spacious WIC! Oil-Rubbed Bronze Fixs! Big Bonus Rm! Covered Porch! Fenced Yard! Patio! NO City Taxes! Low HOA Dues! Directions:From RTP, Take I-540 East to BUFFALOE RD exit, EXIT 20. LT onto BUFFALOE RD. LT onto OLD MILBURNIE RD. Take 3rd RT onto MCGRATH WAY. Home is on your Right. SchoolsClick map icons below to view information for schools near 4104 Mcgrath Way Raleigh, NC 27616. Listing provided courtesy of Fonville Morisey/Stonehenge Sales Office. Home for sale at 4104 Mcgrath Way Raleigh, NC 27616. Description: The home at 4104 Mcgrath Way Raleigh, NC 27616 with the MLS Number 2236463 is currently listed at $275,000 and has been on the Raleigh market for 70 days. You are viewing the MLS property details of the home for sale at 4104 Mcgrath Way Raleigh, NC 27616, which is located in the Old Milburnie Crossing subdivision, includes 4 bedrooms and 3 bathrooms, and has approximately 2693 sq.ft. of living area.